My new pattern is now available! 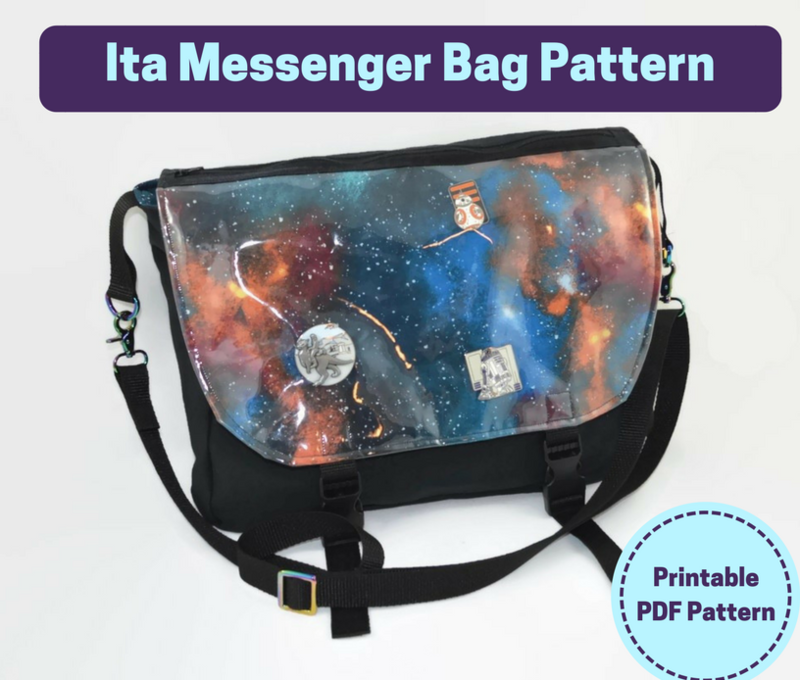 It’s a messenger-style ita bag! If you have a pin collection you’d love to show off but aren’t a fan of the cutesy ita bags out there, this is the project for you. Make a messenger bag with a clear pocket on the flap for displaying your pins and other merch! You can also make the front pocket with fabric to make a non-ita messenger bag. 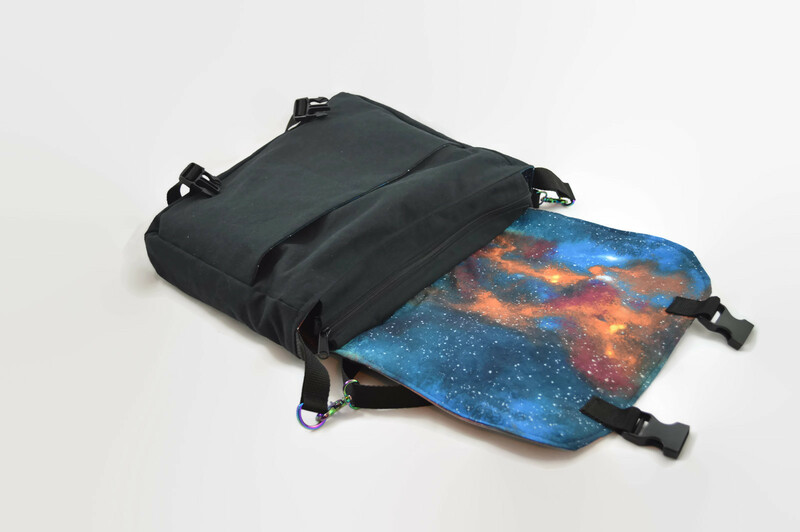 The final bag measures approximately 15″ by 12″ by 3″, which is large enough for most laptops! As always, if you have any questions about any of my patterns, send me a convo on Etsy. And if you post photos of your makes, tag me on Twitter or Instagram, @alexlynncrafts! I love seeing folks’ projects!